Posted on September 20th, by Kathryn Kutchel in Business units, Design Guidelines, Melbourne, Our people, Planning. The key to good design, comes from having good foundations and guidelines to follow. Whether it be the design of public spaces, the layout of cities, or the building design of a local neighbourhood, having design guidelines in place ensures safe, liveable spaces. Some of these guidelines stem from common sense, while others are developed from collections of study, but all of these intend to implement a principle without restricting creativity in design. 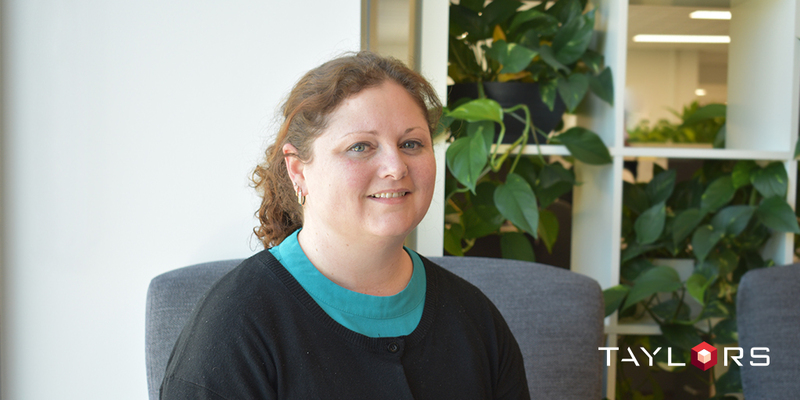 At Taylors, the Design Guidelines team is autonomous, working behind the spotlight to ensure quality delivery of multiple projects, but they are a crucial complement to multiple teams, as Design Guidelines Manager, Melanie Memery explains. Where does Design Guidelines sit among the Taylors team and what does the day to day look like? 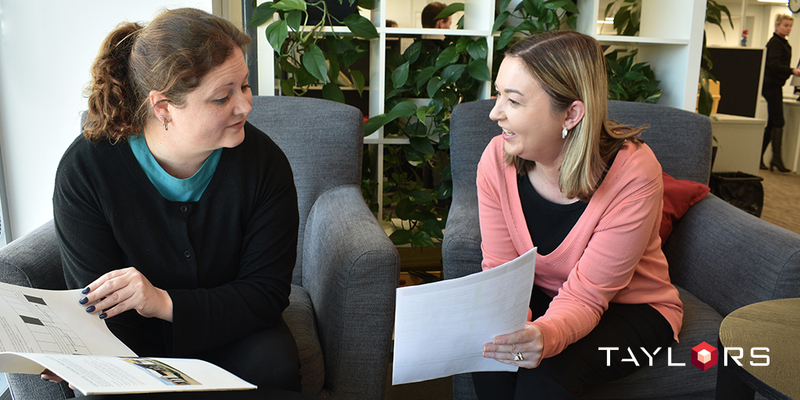 We’re a self-run team, but we operate within the Urban Development Planning team and get most of our work through our Town Planners or through the Survey and Subdivision teams. 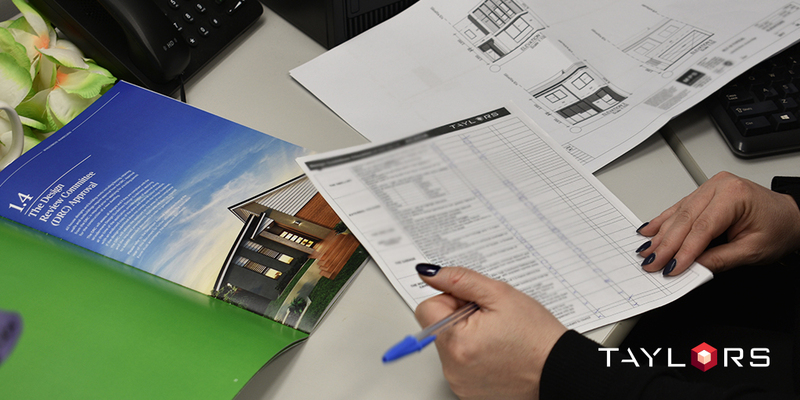 When a planning permit is approved, often they will require design guidelines to be written based on planning permit conditions, PSP’s, and any requirements the developer wants. We put together a document and forward that to the developer, they give us the approval and we send it off to council for endorsement. To get our inspiration we look at trends, what we’re seeing in plans coming through from builders, what’s actually out there, if there’s an estate close to other estates, we’ll look at their guidelines and what they require, and then try and put something a little different – a little spin – on our own so it gives it a point of focus. We deal with all types of different estates, including those estates that have massive fall over the blocks, building into sites or building with the fall of the land. We’re currently working on Mt Holden which is on the side of a hill ad we’ve got a few others in Officer which are the same. Generally, I’ll write the guidelines and then the team will review them and provide any thoughts or comments they have. Once it’s endorsed, the land then begins sale. Once the purchaser buys their block of land, all the plans get drawn up and are then submitted to our team and we review them against plans of subdivision restrictions, MCP’s, the guidelines, residential code, smaller housing code and make sure they comply. Design guidelines are written based on planning permit conditions, PSP’s and requirements. 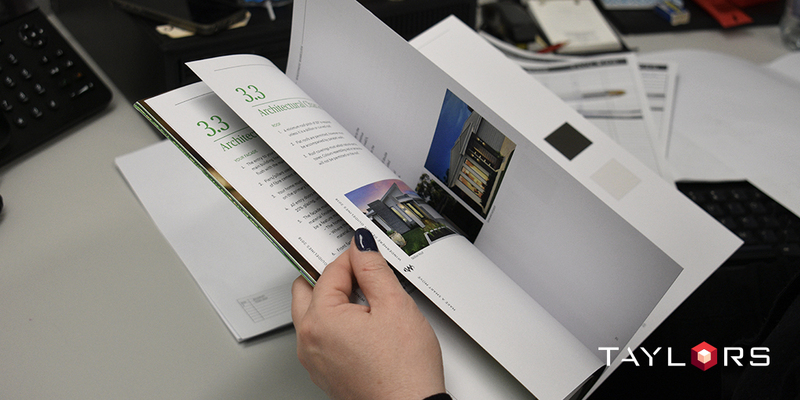 What was your journey to becoming involved in the Taylors Design Guidelines team? I’ve been in the building industry for twelve years with volume builders working in their permits and compliance team so, reviewing plans, getting plans, applying for building permits, liaising with councils, and then I came to Taylors five and a half years ago. You’re on the other side of the fence here. With a builder, you’re the one who is applying for approval and now I’m on the other side where I am giving those approvals. It’s different but it’s good, it’s still using the skill set that I’ve got but it is building upon it. Both Teresa and Ebony have also come from builders in a compliance role, and they’re very self-sufficient. It can be a repetitive job when you’re looking at the same estates each day, but it’s definitely a very different role in terms of seeing the occasional crazy idea. We’ve seen one for example in Craigieburn who is intending to build their bath on their balcony at the front of their property, so it’s nice to have those quirks from time to time. So, on that point, what are the quirks that you see in Design Guidelines, and which projects is the team a part of currently? We review anywhere up to 300 plans a month so we definitely see some quirky designs, we may deal with disgruntled purchases, or builders, or designers, but I think this role really requires you to know residential codes, know regulations, know the guidelines in and out. Once you know all these, you become confident enough to say, ‘this is how it should be’. At the moment we’re involved in a number of projects that the whole company is working on. We’re part of Panorama Drive in San Remo, we’re working on Grand Central, we wrote the guidelines for Windermere Estate for Country Garden, we’re part of One Village in Cranbourne, multiple Villa World developments in the north are using our services, along with AV Jennings as well where we wrote the guidelines for Lyndarum North and we’ve just started reviewing their overflow of assessments. We’ve been engaged to write the guidelines for Fox Hollow Drive as well, but that won’t commence for a few months until planning has been submitted and we receive the restrictions from that. Now, Fox Hollow is in Sunbury and it’s going to be on slope so that’s going to be really exciting for us to write guidelines on sloping sites. Do you have any other challenges that go beyond the scope of the land? There is the challenge of dealing with owners that don’t fully understand regulations or guidelines. We can get owners calling because they weren’t aware of certain situations, but that comes back to land sales consultants now needing to go through the guidelines properly to make buyers aware of what is required. It’s showing that the demand of land at the moment is huge, and people are just buying whatever they can without looking into what is required to build. You end up explaining to them what is going on, but there is nothing else that is a real downfall in this team. Some developers want certain colours in their estate, or some estates that don’t want colour in their estate, so there could be an estate that doesn’t want black or white, which can cause a headache, because while choosing colours we may sit there and say ‘this shade is too white’ but everyone has their own opinion of what is and isn’t a particular colour. Does that mean that plans can come back if a developer has a change of heart? Plans always come back, 95% of plans are not approved on the first try, but that is an indicator that they’re being thoroughly discussed. We like to hope that we can get the majority of those plans approved on the second review, but you will have ones that push out to seven reviews. If there is a structural change that needs to happen then we’ll definitely send a non-approval, but if it is just a colour change or a minor note then we will stay with them to ensure that it gets approved on the first review. You have occasional submissions where the whole façade is changed so now nothing complies, and it will come back to you multiple times. We find that designers and builders rely on our knowledge of what will be approved, but we know that by working as a group we could get many approvals across in the first review. So, Design Guidelines is really the hidden force of the development process? Design Guidelines is definitely a niche industry, people don’t know we’re around unless they’re told, but we do have some major developers. Our main client is Peet, and we are pretty much the only department in Taylors that look after Peet, engineering is engaged for one or two estates from time to time. We do site inspections as well, once every six months we go out to each estate for Peet and we review the homes that have been constructed, that’s a bit of a quirk of the job, a bit of a day trip out there to review it. It gives you an idea of what you’re approving out there and how it looks, and you can see the difference between estates that have design guidelines and those that don’t. It’s good for the team to go out there and see what they’re approving; you see it on a plan and wonder how it will look on site, so once you’re out there it really brings your hard work to life.